HOTTEST score of the week for me today! The kids have this on their Santa list, and I could NOT pass up this price as its the LOWEST that I have found anywhere. 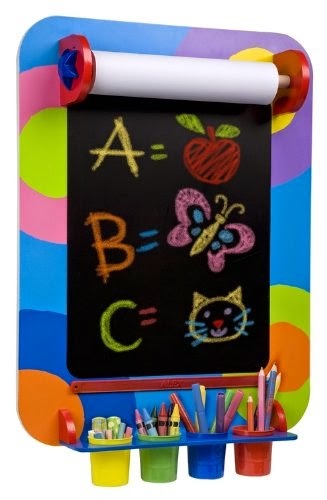 Alex Toys-Artist Studio-My Wall Art Easel at 61% off. I LOVE that this comes as a kit and has everything you need to get started using it Christmas morning. I'll be picking up some chalk packs to use at stocking stuffers too!